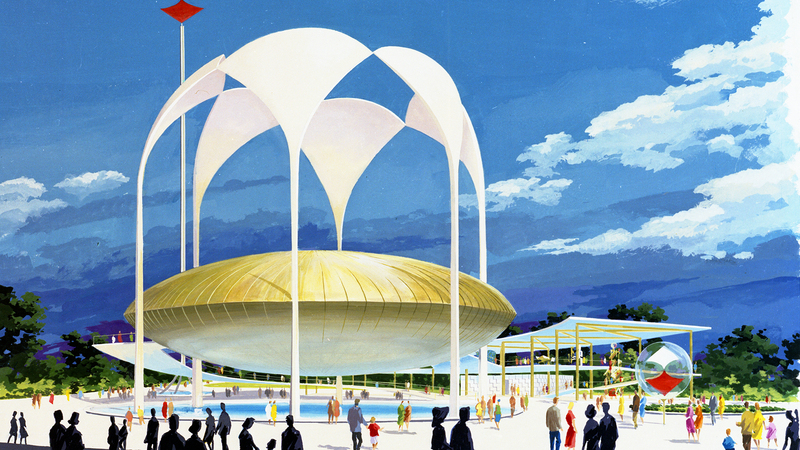 At the 1964 World's Fair, SC Johnson’s Golden Rondelle Theater and film To Be Alive! inspired millions. In a time of political and social upheaval, H.F. Johnson, Jr. had a vision he wanted the world to see. Throughout his career, third-generation company leader H.F. Johnson, Jr., championed creative ways to reach consumers and build the company’s reputation. Even more important, he pursued them with an uncommon boldness. So, it’s no surprise that it was H.F. who launched the early radio advertising that made our company a household name in the 1930s and ‘40s. Or that it was H.F. who formed an enduring relationship with Frank Lloyd Wright that produced the architectural treasures on our global headquarters campus. It was H.F., too, who led the company’s participation in the arts, from ART:USA, the Johnson Collection of Contemporary American Painting, to our Academy Award-winning film To Be Alive! Sam Johnson on his father, third-generation leader H.F. Johnson, Jr. 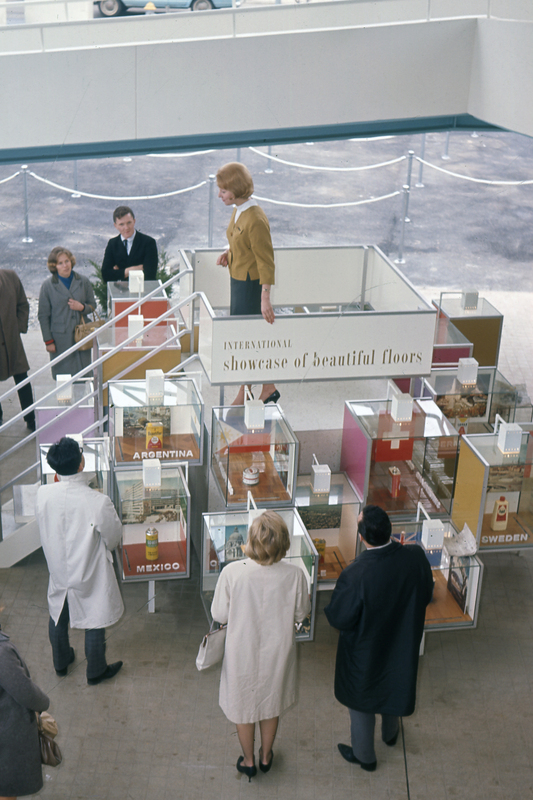 When the company began its plans for the 1964 World’s Fair, one might have expected a traditional sort of exhibit in an industrial hall. That’s what companies did in those days. They used the fair to show off their products. But H.F. had a different idea. He wanted to build a totally unique pavilion, and to show in it a totally unique film that would add value to the world. The World’s Fair was no exception. 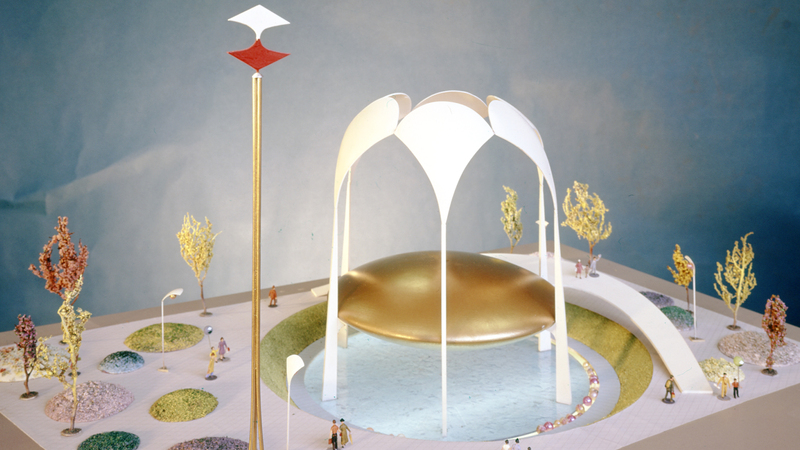 H.F. commissioned Lippincott & Margulies, the firm that created the company’s “double diamond” symbol, to design the Johnson Wax Pavilion for the 1964 World’s Fair. 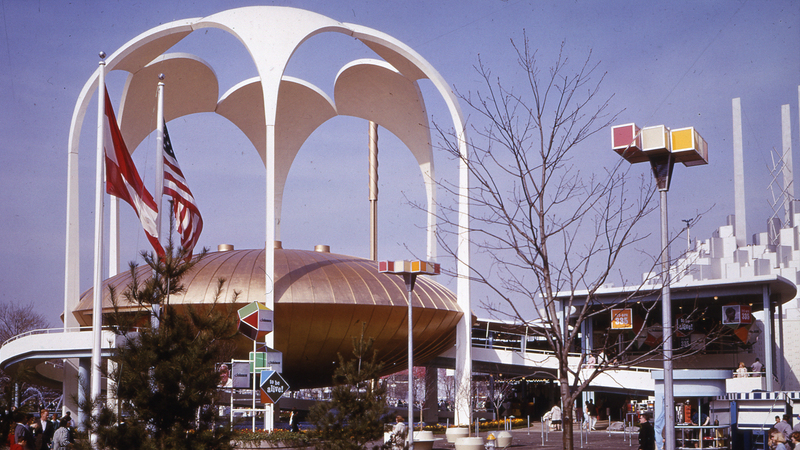 Of course, SC Johnson’s World’s Fair pavilion would speak to the company and its products. Exhibits would ultimately include an "International Showcase of Beautiful Floors" with flooring and Johnson products from around the globe, and a presentation about how we were diversifying into new fields and innovations. A bank of automatic shoe shine machines beckoned visitors for a free shine. Computer-operated teletype machines answered even the toughest home care problems, with solutions and product suggestions. But, though exceptional, those weren’t what made SC Johnson’s exhibit unique. It was the pavilion itself – our “Golden Rondelle” – and the magnificent film inside it that made SC Johnson the talk of the fair. LEFT : Hosts at the SC Johnson Pavilion were from all over the world and spoke multiple languages to welcome foreign visitors. RIGHT : The unique shape of the SC Johnson Pavilion was as another innovative architectural symbol for the company. TOP : Hosts at the SC Johnson Pavilion were from all over the world and spoke multiple languages to welcome foreign visitors. BOTTOM : The unique shape of the SC Johnson Pavilion was as another innovative architectural symbol for the company. Think about the world in the early 1960s. Political and social upheaval were rampant. People feared nuclear war. A U.S. President was assassinated. The Berlin Wall was rising in Germany. Issues in Vietnam were escalating. And, the battle for civil rights raged throughout America. Against that backdrop of pessimism and fear, H.F. wanted to offer a up film that would share a vision of peace, understanding and the joy of being alive. But when the team questioned the decision, as company legend goes, H.F. simply looked at them and said, “Gentlemen, some decisions are only for the brave.” And he walked out. The executive team was discouraged, even hesitating to plan a grand opening event. But H.F. was adamant the film would work. And, it drew even more attention to the “small” company in the American Midwest who offered such a remarkable view of the world. Former U.S. President Dwight Eisenhower, on To Be Alive! With its uncommon blend of authenticity, social progress and optimism, the film became one of the most popular exhibits at the fair. 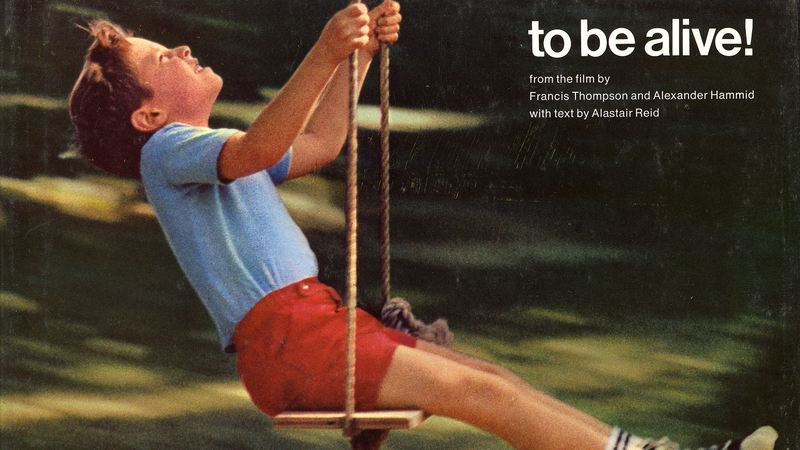 Later, it won the 1966 Academy Award for Documentary (Short Subject). It is still shown today, as part of our headquarters campus tours. Like our partnership with Frank Lloyd Wright, the Carnauba expedition to Brazil, and countless winning products that helped the company grow, To Be Alive! was yet another example of a brave decision by H.F. It was creative, unique, adventurous and inspiring, just like the man who championed it. Some decisions are only for the brave, and SC Johnson was all the better for H.F.’s bravery.